(as of February 11, 2012 according to the Fire and Disaster Management Agency). Sympathies have been expressed from 254 countries/ regions and international organizations as of May 2, 2011 (at 18:00). As of September 15, support teams from one country are operating in Japan. Japan has received relief supplies from countries/regions and international organizations as shown in the list below. Japan has received, so far, offers of assistance from the following 163 countries and regions, and 43 international organizations (in alphabetical order). On the evening of March 11, Foreign Minister Matsumoto formally requested U.S. Ambassador Roos for the assistance of the U.S. Forces in Japan. The U.S. 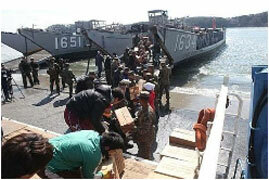 Forces have been conducting large-scale aid activities (Operation Tomodachi), with 24 ships and 189 aircrafts as well as about 24,500 personnel (at their peak). The U.S. 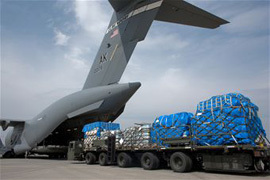 Forces have transported and supplied 2 fire trucks (for spraying water) and 5 pumping units, supplied 99 sets of protective clothing and masks (with a further 150 sets of protective clothing standing ready to be provided to TEPCO), and transported and supplied approximately 9 tons of boron. They have also supplied approximately 1.9 million liters of fresh water using two U.S. Navy barges. Approximately 150 people from the Chemical Biological Incident Response Force (CBIRF) of the U.S. Marine Corps has arrived in Japan. U.S. forces have also provided Japan with photos taken by the unmanned surveillance aircraft "Global Hawk." 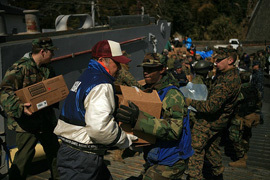 On March 13, a joint Japan-U.S. operation was undertaken whereby U.S. helicopters transported approximately 30,000 emergency food rations from aircraft carrier "Ronald Reagan" and other U.S. ships to ships of the Japan Maritime Self Defense Force, which the Self Defense Forces then transported the rations to Miyagi Prefecture. 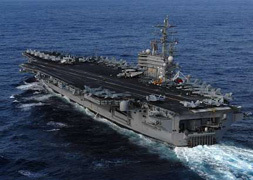 Afterwards, the aircraft carrier Ronald Reagan, together with its accompanying fleet, carried out search and rescue operations off the coast of Iwate Prefecture and transported and provided humanitarian relief supplies. 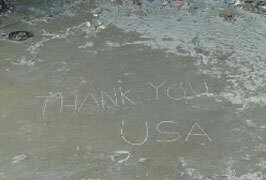 By April 5, the aircraft carrier had left the waters off the disaster-stricken area. 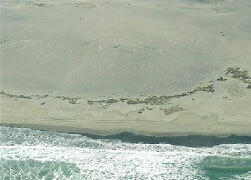 The salvage ship Safeguard engaged in obstacle clearance operations at the ports of Hachinohe and Miyako. 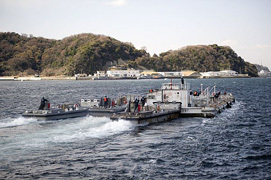 From April 1 to 3, the U.S. Navy mobilized some 9,000 personnel, six ships and 10 aircraft to carry out joint search and rescue operations for missing persons with the Self-Defense Forces of Japan off the coast of Sanriku. The amphibious assault ship "Essex" carrying the 31st Marine Expeditionary Unit (31st MEU) and other vessels have been transporting and providing relief supplies to the afflicted areas. 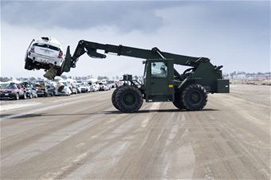 From March 27 to April 6, a part of the 31st MEU transported power supply vehicles and water trucks to Oshima Island in Kesennuma City, Miyagi Prefecture, using landing craft, and carried out humanitarian relief operations there. On March 11, the U.S. Air Force accepted divert landing of 11 private planes at Yokota Air Field. Misawa Airfield allowed rescue teams from the U.S. (USAID), the U.K., France, and other countries to use it for travel to and from the afflicted areas. On March 15, a C130 cargo plane transported gasoline supply vehicles to Yamagata Airport, where the U.S. Air Force engaged in refueling operations. C130 and other aircraft transported and supplied medical supplies to Sendai Airport and other locations. The U.S. Air Force provided Japan with photos taken by the unmanned surveillance aircraft Global Hawk. 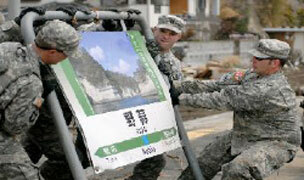 The U.S. Army worked with the U.S. Marine Corps and Air Force to help with repairs at Sendai Airport. It has also been providing humanitarian assistance, including the clearing of destroyed vehicles and the supply of kerosene.On April 10 about 110 members engaged in search and rescue operations for missing persons together with the Self Defense Forces. 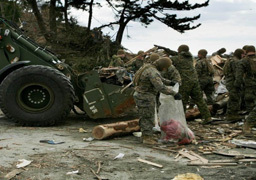 In addition, beginning on April 21 the U.S. Army has been engaged in operations to clear rubble from the JR Senseki Line in groups of dozens of people. Australia's C17 aircraft has been providing transportation assistance in Japan, and urgently transported a special pump needed for cooling Fukushima Dai-ichi Nuclear Power Plant from Australia.